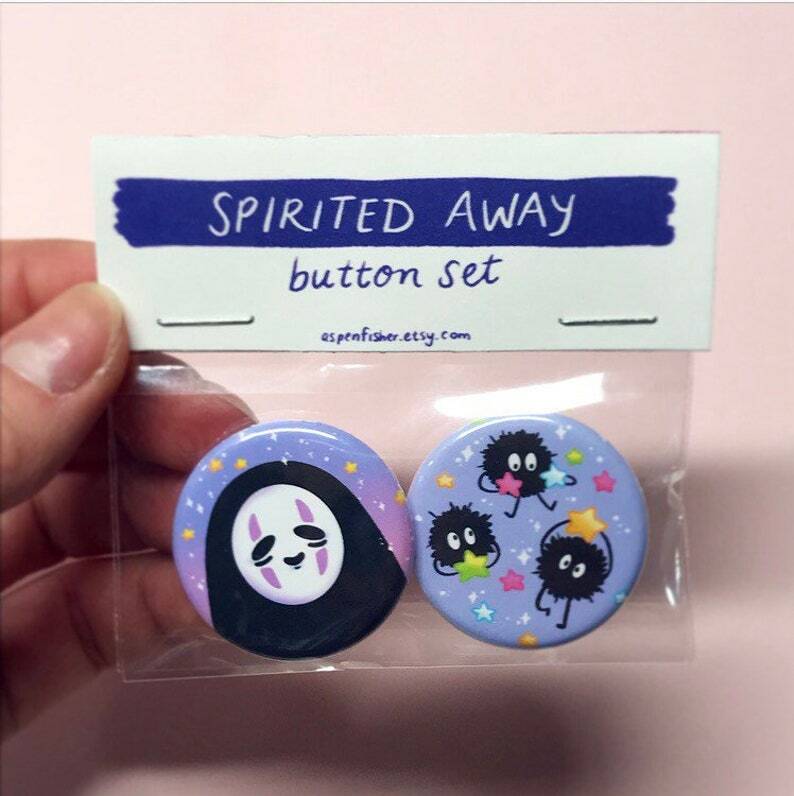 Collect these cute No Face and Soot Sprite pins to add a little magic to your bag or jacket! 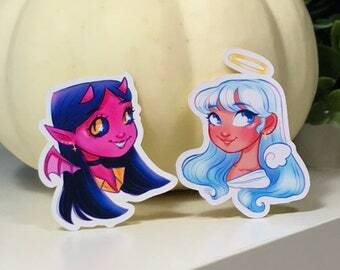 ☆ includes one of each design! Buttons will be shipped in a clear sleeve and wrapped. The envelope will have a stiff backing to protect and prevent damage. These prints are for personal use ONLY.